The story of Klaus-Dieter and Martina John  both brilliant, talented and highly qualified doctors  who turned their backs on lucrative careers in Britain or America to follow their dream to open a top-flight medical facility for some of the worlds poorest people. Neglected by the authorities, the Indians of the Peruvian Andes suffer appallingly from the diseases of poverty and although they make up approximately 40% of Perus population, they are ignored by the authorities. It was to these that the couple felt called. Having studied at the universities of Harvard, Yale and Johannesburg during his training as a surgeon, Dr Klaus-Dieter John together with his wife Dr Martina John, a paediatrician, developed a concept for a modern hospital in the Peruvian Highlands. Turning down lucrative offers, including a professorship, they set themselves the task of raising the millions of dollars needed. God opened the hearts and consciences of individuals and companies to create not just a health centre, but a fully equipped hospital. Their story and vision has captured attention around the world and today they have the backing of 180 corporations and 50,000 private supporters. The hospital is called Diospi Suyana  We trust in God  a testament to their experience that with God the impossible can happen. The Johns are a couple with incredible conviction, and a profound faith and their story will refresh your heart and stir your spirit. I Have Seen God by Klaus-Dieter John was published by Lion Hudson Plc in September 2014 and is our 16135th best seller. The ISBN for I Have Seen God is 9780857215741. Be the first to review I Have Seen God! Got a question? No problem! Just click here to ask us about I Have Seen God. "As a scientist I am deeply interested in the evidences that study of the cosmos provides for the existence of God. However, I am not simply a theist but a Christian and one of the central Christian claims is that it is possible to have a living relationship with God through Jesus Christ. Hence part of the evidence for the truth of Christianity will be found in the testing of that claim in everyday life. 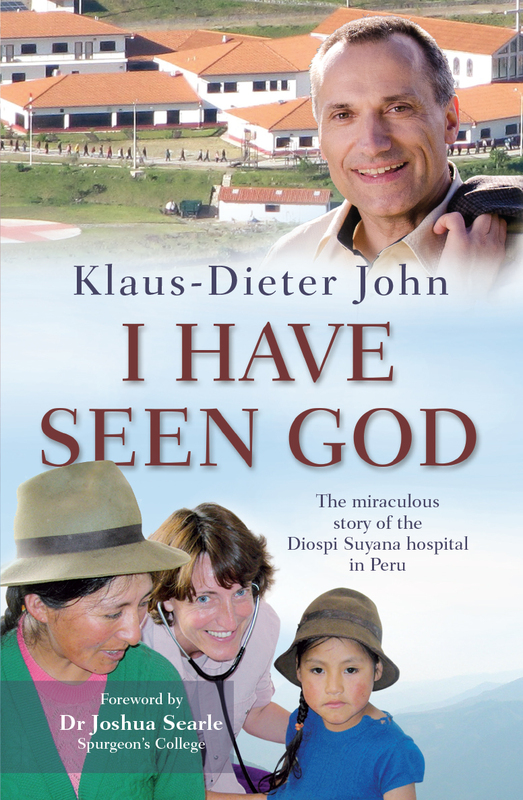 The story of Diospi Suyana hospital is a remarkable example of what happens when people take God seriously and I heartily recommend this account as compelling evidence that there is a God who cares." - John Lennox, Professor of Mathematics, University of Oxford.